I used to be very much of the mindset that one perfume would more than satisfy me, but having been in the blogging world for over four years now, I've come to realise that there is a perfume for every occasion, season and mood out there. My collection of one or two favourites has grown to a mass of different scents in an array of different shapes and sizes, and I'm cool with that. I like the fact that I can put on my outfit and choose a scent to go with it, or if I'm feeling in a particular mood, find a scent that matches that too. With this in mind, I thought it was about time I introduced you guys to three new perfumes that I've recently acquired, and let you know what I think to them. I don't tend to do that many perfume reviews on here as scents are such an acquired taste, but these beauties are too good not to shout about. First up, Hugo Boss' Ma Vie Pour Femme* is currently exclusive to Word Duty Free, and is well worth a trip to the airport for. It is a gorgeous floral scent (florals are my favourite, just for reference), with top notes of cactus blossom, heart notes of pink fresia and jasmine petals blended with rose buds (sounds incredible! ), and base notes of cedarwood. A beautiful feminine fragrance, I really love this perfume, although I feel like it is a bit more of an older scent than I'd usually go for. 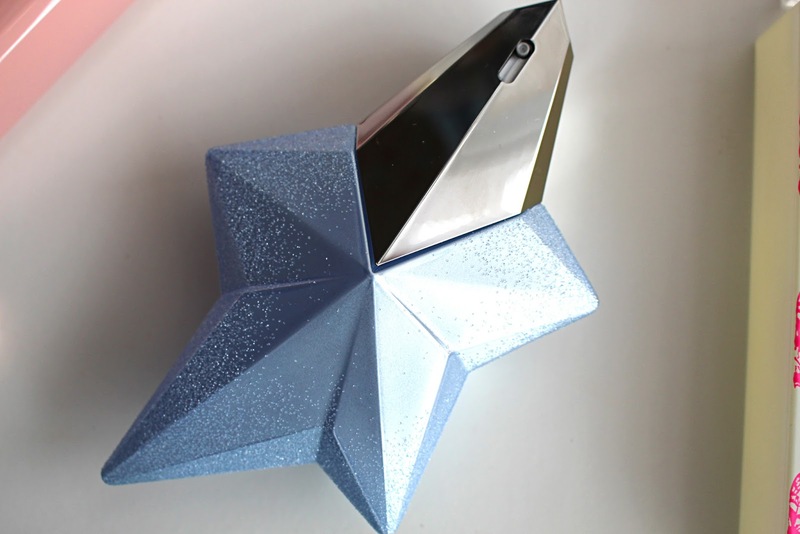 Secondly, and perhaps my favourite of the three, is Thierry Mugler's Angel Eau Sucre*. I've not previously tried any of the other Angel perfumes, but as soon as I knew this one had the sweet-factor, I was hooked. I adore my sweet, sugary perfumes, and this is the epitome of them down to a tee. There's no other way of describing it than to say that is is so sweet and sugary smelling, it almost makes your mouth water. And with top notes of red fruits sorbet and caramelised meringue notes at the heart, it makes sense why. It also comes in the most unique bottle I've ever seen, in the shape of a star which looks as though it is covered in sugar. Mhmm... dreamy. Finally, something I honestly never thought I'd be saying, but I've found a celebrity perfume which I love. I'll be honest, I'm a bit of a snob when it comes to celeb fragrances, and despite buying Gwen Stefani's L.A.M.B perfume way back in my teens, they've just never really appealed to me. That being said, once a perfume is on the skin, it doesn't really matter who made it, right? Right. 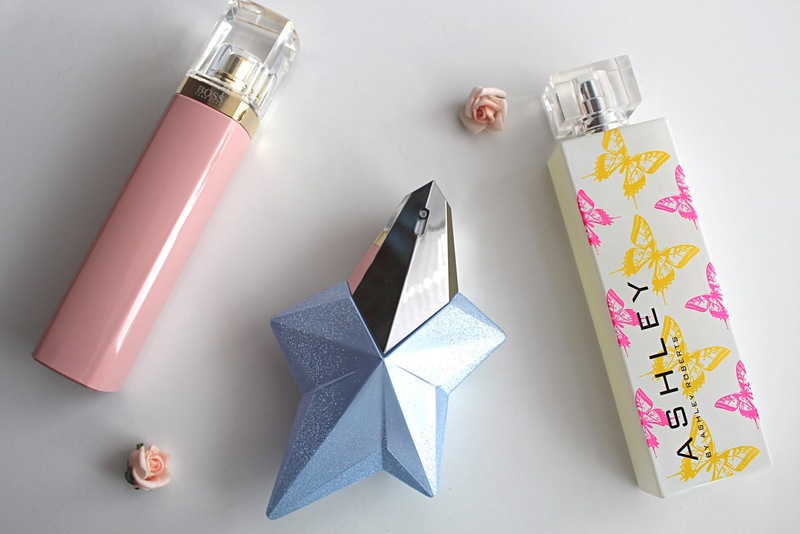 Whilst I'm not the world's biggest Ashley Roberts fan, when her Ashley by Ashley Roberts* perfume landed on my doorstep, I was pleasantly surprised. 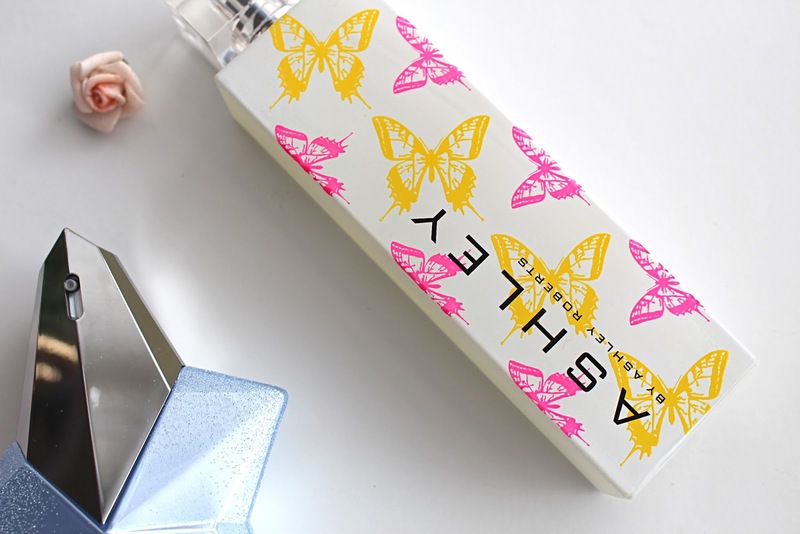 Not only is the packaging cute and spring-like, the perfume itself is a total delight. A sweet floral mix, it combines orange blossom, rose honey, ylang ylang and patchouli to create a beautiful scent which will be perfect for spring and summer. 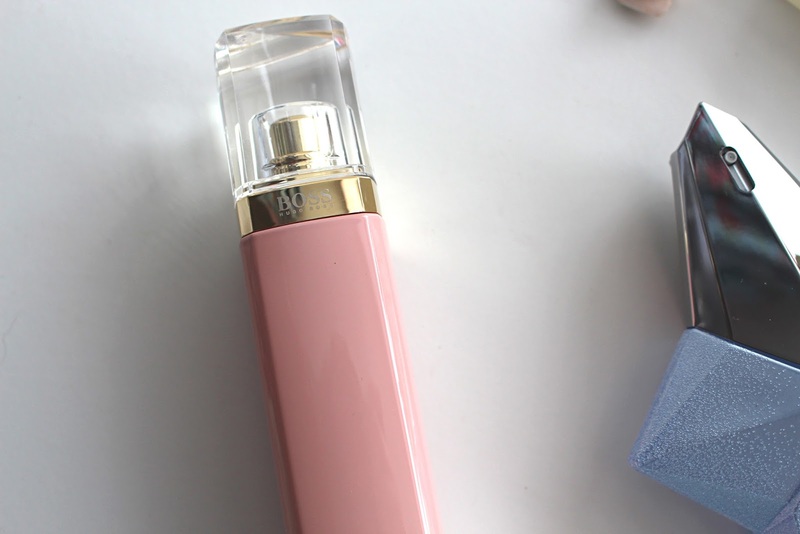 I am totally impressed with this perfume and it is a must for floral fans. 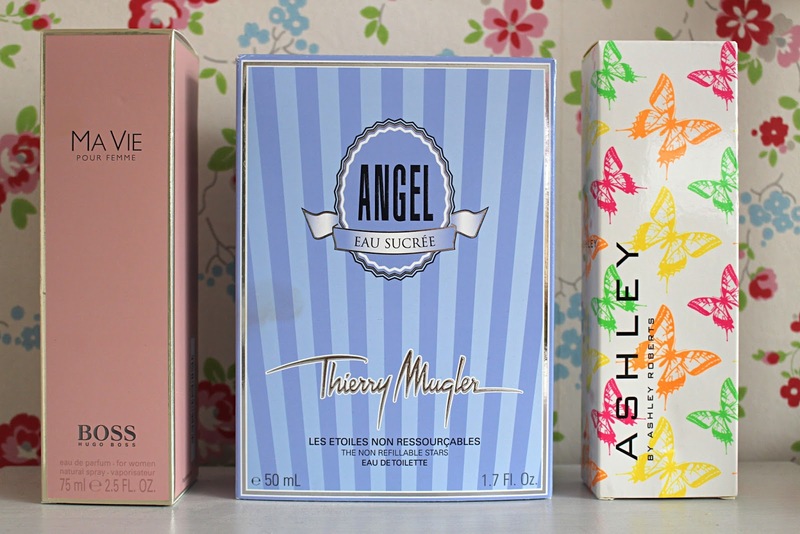 What new additions do you have in your perfume collection?